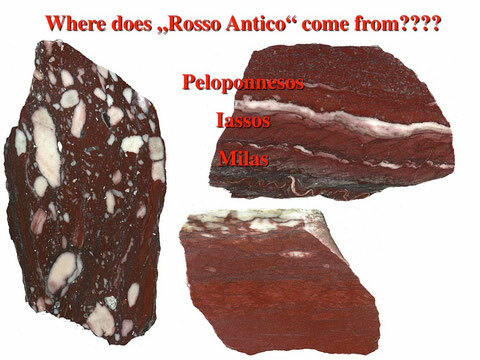 The origin of "Rosso Antico"
Different petrographic types of Rosso Antico. 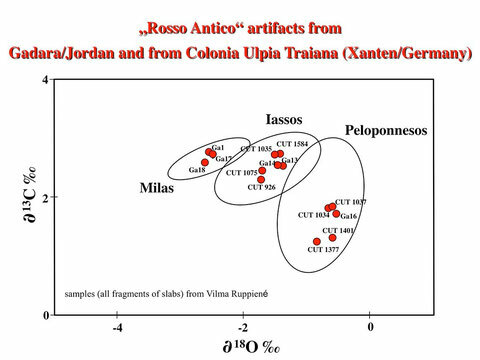 The databank includes 112 samples of Rosso Antico from the above mentioned regions. 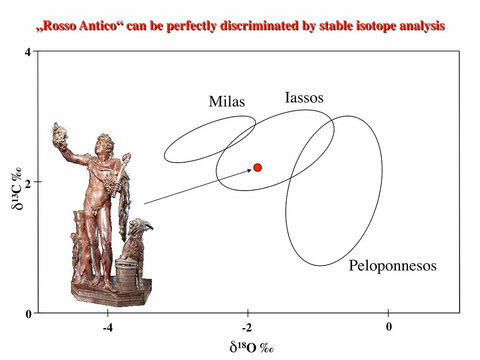 The isotope diagram satisfactorily separates the compositional fields of the 3 source regions. Multivariate discrimination using additionally chemical or fluid inclusion data is not improving the result. Thus the Rosso antico is one of the rare cases where isotope analysis alone is sufficient for a sound discrimination of different source regions. The "Fauno Rosso" found in Villa Adriana in Rome can clearly be assigned to the Iassos quarries. 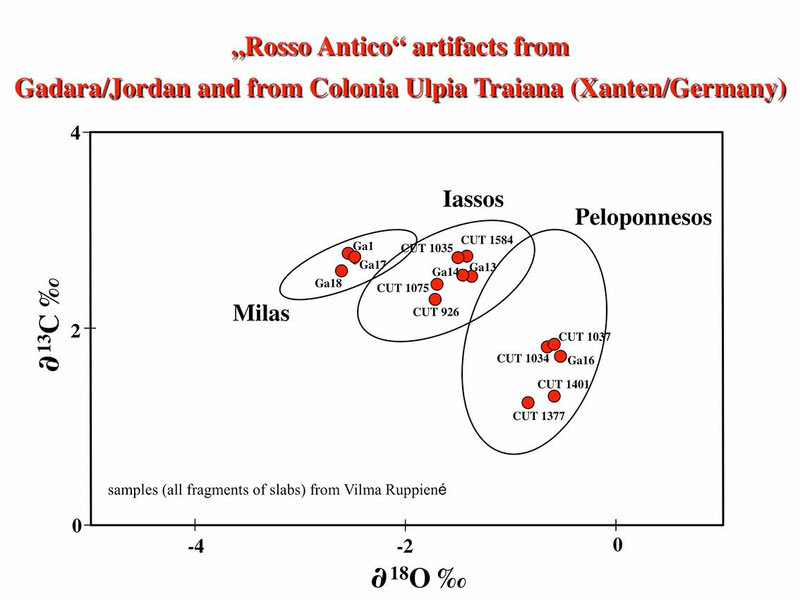 Different origin of Rosso Antico fragments from Roman excavations in Germany and Jordan.